Mr. Shah’s responsibilities include assisting in the physical due diligence for all prospective investments and has primary responsibility for selection/monitoring/oversight of the property management, operational activities, operating budgets, property tax appeals and capital improvement projects for certain of the owned assets in the currently active Brookdale fund(s). 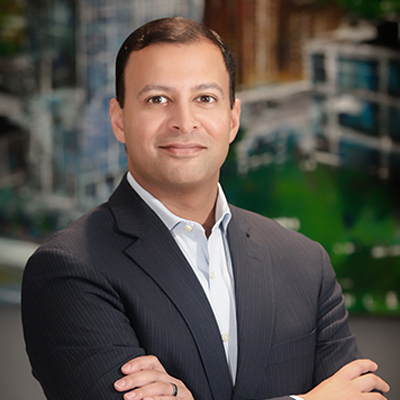 Prior to joining Brookdale in 2016, Mr. Shah spent one year with the Miami office of a Spanish-based real estate company, where he was an asset manager overseeing 2.1 million square feet of office and multifamily properties, and three years in Orlando with Chicago-based real estate company JLL, where he was a general manager responsible for managing the property operations and value-add capital improvement program of a 655,000-square foot CBD office tower. Mr. Shah holds a BS degree from Virginia Tech and is a Certified Property Manager (CPM). Mr. Shah is a member of the Georgia Chapter of the National Association of Industrial and Office Properties (NAIOP) and a member of the Institute of Real Estate Management (IREM).